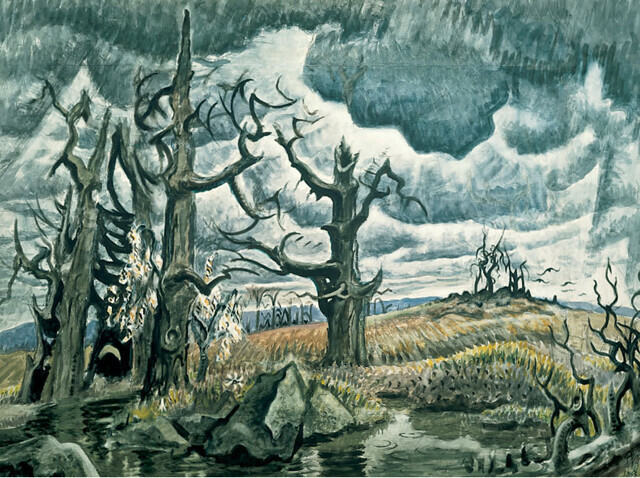 Burchfield, was an American visionary artist who worked primarily in watercolor, painting landscapes and the natural world around him: gardens, vibrating telephone wires or the night sky. He spent his youth in the Midwest sketching and drawing. He catalogued his emotions in a series of pencil drawings defined by abstract shapes that would appear throughout his whole lifetime of work. He graduated from the Cleveland School of Art in 1916, and was placed in the camouflage unit in the Army in 1918, where he used his style to disguise tanks and create artificial hills. In1921 he married Bertha Kenreich in 1921 and they made their home outside of Buffalo, NY. 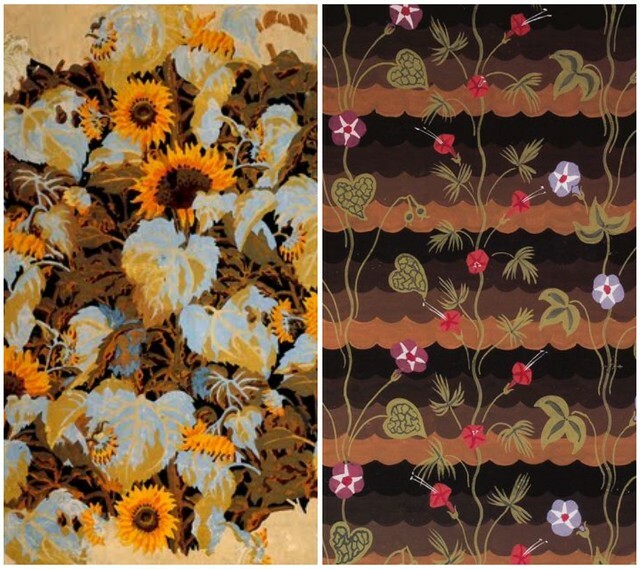 There Burchfield worked as a wallpaper designer M. H. Birge and Sons. In 1929 he left his job there to paint full time and was able to support his large family through The Great Depression by selling his paintings. 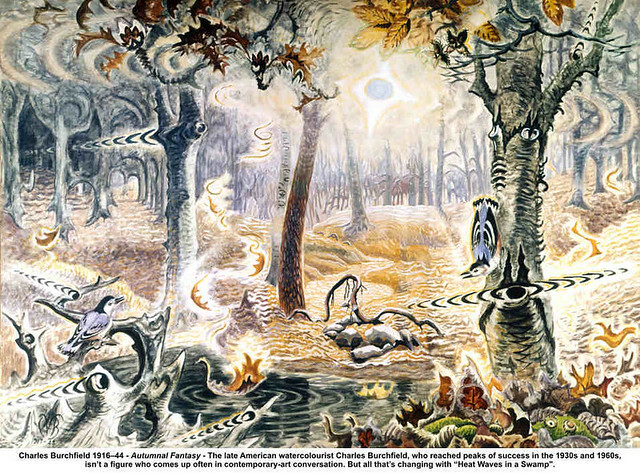 He was a successful professional painter until his death in 1967. Read more about my new favorite American artist here. The first painting was displayed in the Whitney Museum and I went to see it a few weeks ago. I stood there for at least 15 minutes trying to take in the illustrated intricacy and natural beauty of this piece. He started it in his early career on a small sheet of paper and expanded it by continuing the view and expanding it by attaching subsequent smaller paintings. Wow, what unique work! 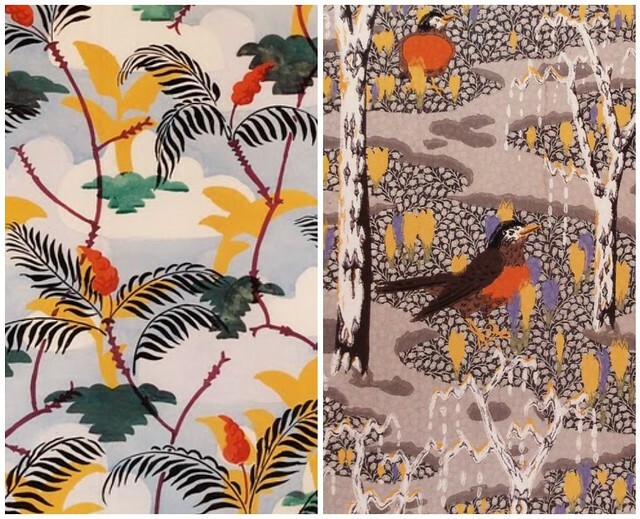 I love the second painting and the very last wallpaper the most, but they're all so intricate and lovely. Seeing it in person must have been wonderful. Oh my goodness, these are incredible! I am dying over that last wallpaper. Thanks for posting this! thank you for passing by and leaving your sweet comment! i'm happy you liked my blog! there's a give-away on my blog - come and join it!